Coastal beach style bedrooms are personal spaces often shared with another person makes decorating tricky. Once you’ve settled on a master bedroom layout, take the time to select colors scheme and decor that reflect your personality, but also take into consideration the serene nature of a beach bedroom. Vintage suitcases and baskets for storage are ideal to highlight the coastal beach theme. 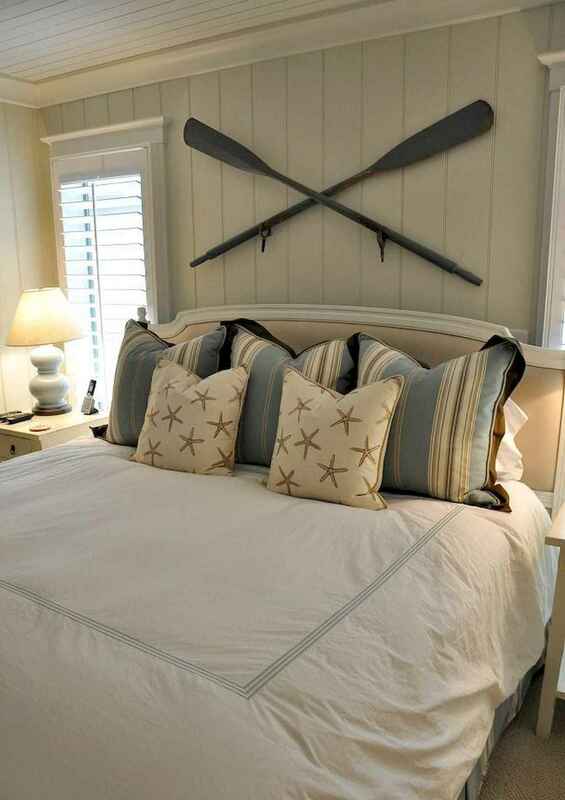 Some unexpected details like an oar or a boat model would be a perfect decoration. Enjoy brilliant coastal beach bedroom designs & decoration below and get inspired!